Interesting topic, but I feel like this is missing a lot of detail. While there is a lot of information on economic impact and such, I feel it would benefit you more if you could try and relate to science and things we learned in class. Also maybe considering changing up your writing format, as it kind of feels like everything is clumped together. I think it would be interesting to compare the relationship between the “winning mentality” the city derives from winning a sports championship and the “community wellness” that come from channeling the sentimentality spent on sports into more community-building programs such as public squares, parks, libraries and so on. Sports are good community building activities but I feel their main problem is that after the season ends how long does the “winning mentality” last and how much does that “winning mentality” really boost the community? Is is worth the cost to a city in terms of stadiums and the costs associated with stadiums in order to build community or could that money and overall sentimentality be channeled towards items and activities that have a longer lasting positive impact on the community? I think that as a society we have overvalued the actual community-building that sports generates and there are other less expensive and more effective ways to build up a more vibrant, inclusive, community. I agree yet also disagree with the theory that the Owner is the only true winner in sense of Socio-Economic terms. Think about Chicago when they beat the Indians in game 7 to clinch their first World Series since 1908, the pure euphoria felt throughout the city by the people goes deeper than money. Socially this is a pride point for the city of Chicago, people can rally around this. 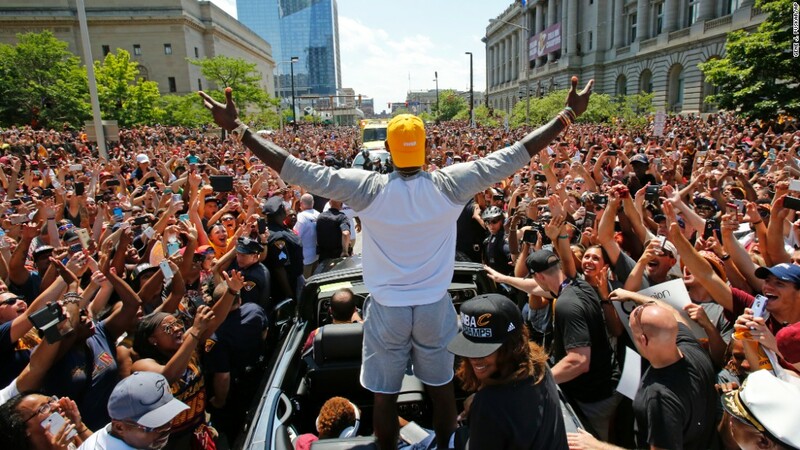 Economically, hosting the championship brings people to town and makes them spend money think about the 2.9 million people in Cleveland after they won the championship how many of them bought food, drinks, went to the mall, etc. I think championships help the people almost as much as the owner is helped. One question I have is do you believe hosting championships help more than actually winning them? Such as with the Olympics sure it cost money to build the stadiums but there are hundreds of thousands of people maybe even millions depending on the place that travel to the city and spend all their money there. I feel like it means so much to the city mostly because of their pride in where they live. Sure the team owners make a lot of money from the increased ticket sales and merchandise purchased. I wonder how the city benefits and if there are any significant economic impacts.